A home checklist is like a road map to success. The first time home buyer’s checklist benefits the buyer by setting priorities and makes the home searching process less time consuming. Having the list makes the search focused. Use the checklist to communicate with the real estate agent. 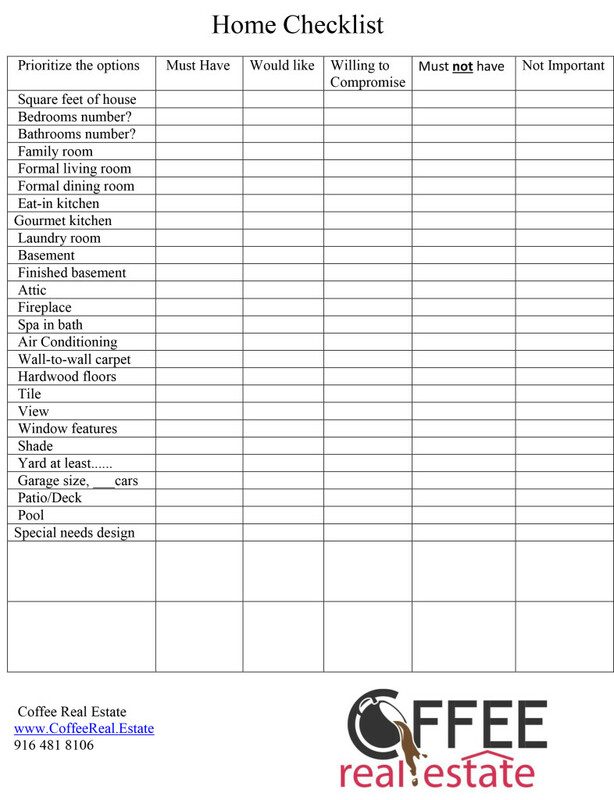 This checklist has lists of features that enables the home buyer to mark in 5 ways. They are must have, would like to have, willing to compromise, must not have and not important. The spaces can be checked or write an amount or even put a comment. A more informal checklist is a series of questions. Following is a short list of the questions that may come up when looking for a first home.